We develop tough quality Rice Bags that are made from quality HDPE and PP fabric, which provides immense load bearing capability. 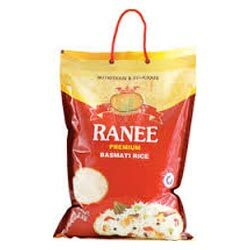 The rice bags come with inner discovering of polythene that avoids any leakage due to stickiness and in rather rare circumstances. Our bags are light in weight, which prevents from adding any additional load. The bags have exceptional printability and are completely water-resistant. Our rice bags are stringently tested for its hygienic value and contamination free. 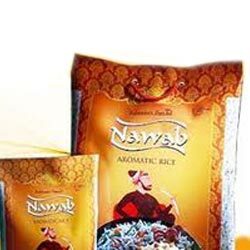 Our company design high grade 5 Kg Rice Bags that are immensely strong and can bear the weight with ease. 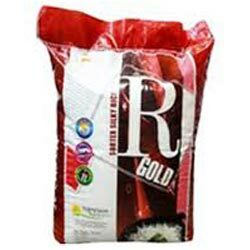 We employ finest raw material in manufacturing these bags, which are easy to handle and completely degassed bags. These are hygienic and safe for storing eatable items and heat resistant. We provide these in customized designs, colors and shapes according to the requirement of our client. These are also abrasive resistant and torn free. We are engaged in making 10 Kg Rice Bags that are tough and prevent spillage and wastage on any kind. These bags can easily carry the mentioned weight with ease and maintains the freshness. We are developing fine quality rice bags that are quality tested and keep the seeds in their prime state. The package is tamper free and come with air tight sealing.